Ohio State officials are investigating possible violations made by some of it's football players who have allegedly traded their autographs for free tattoos. No names have been dropped yet, but we're hearing it's not the backup long-snapper, but some of the biggest names on the team. WBNS-TV and The Columbus Dispatch, both citing unidentified sources, reported on their websites Wednesday night that the school was looking into the possible NCAA violations just two weeks before the Buckeyes face Arkansas in the Sugar Bowl on Jan. 4. 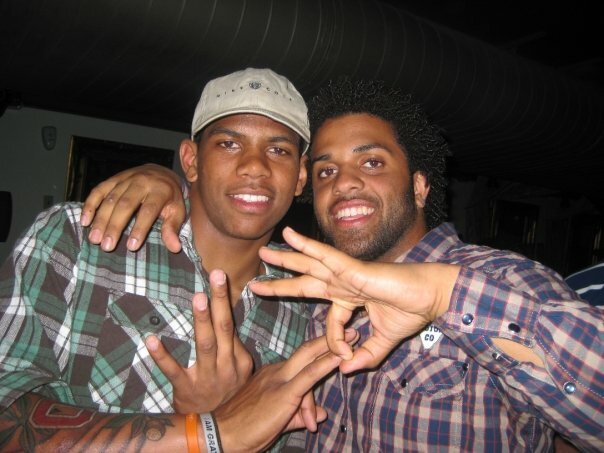 Quarterback Terrelle Pryor, not mentioned in either report, quickly responded on Twitter. "I paid for my tattoos. GoBucks" he posted. The Associated Press left telephone, text and e-mail messages seeking comment from coach Jim Tressel, athletic director Gene Smith, the school's compliance director and other university officials. Asked by the AP to respond to the allegations, Ohio State associate athletic director Dan Wallenberg said in an e-mail, "No information to share." Sure, it's not drunken police chases with Grey Goose and AK-47's, but it's still a breakage of the rules. And let's face it, without rules...there's chaos. I think this sort of thing would be considered "extra benefits" in the eyes of the NCAA, according to Adam Rittenberg. If Michigan can get slapped with a major rules violation for an extra 5 minutes of stretching time in practice, then surely something should happen to tOSU on this one. Is there a Columbus Free Press that we can contact? Where's Michael Rosenberg's Columbus counterpart? How long can Sir Teflon keep going on without having anything come back to nail him? Clarett, Troy Smith, countless incidents of players with legal and disciplinary problems, and now this. Of course not, because he's Sir Teflon...and nothing sticks to him. It will be entertaining to see how tOSU gets away with this one.